So many artists have covered Beatles tunes in so many ways that one might wonder why anyone would bother anymore. What possibly could there be left to say in this music? 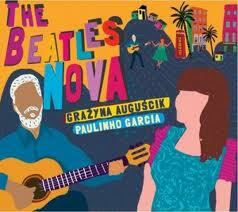 Undeterred, Chicago jazz musicians Paulinho Garcia and Grazyna Auguscik have taken on some of the most familiar works in the Beatles catalog on an appealing new album, “The Beatles Nova.” Their perspective on this repertoire sounds as fresh as the recording’s title implies, the musicians reiterating the point Thursday night at Katerina’s. Audiences in Chicago – and well beyond – already know that the Brazilian-born Garcia brings a seductive rhythmic lilt to nearly everything he sings (and plays on guitar). Auguscik, meanwhile, applies the fervent lyricism of music of her native Poland to a broad range of repertoire. Over the years, Garcia and Auguscik have formed a partnership unique in contemporary music, two voices from distinct cultures coming together in the precincts of Chicago jazz. With each season, their instruments blend a little more closely, and on Thursday night dual voices merged almost as one. Better still, Garcia’s arrangements transformed the Beatles originals and, in many ways, improved upon them. The familiarity of these songs have made them classics, but Garcia’s versions extend their chordal vocabulary far beyond anything the Beatles attempted. Here is Beatles music enriched with the sophistication of jazz harmony, the seductive sway of Brazilian rhythm and other variables. During their first set at Katerina’s, Garcia and Auguscik re-conceived every Beatles tune they touched, leaving enough of the original to render the music recognizable, but altering enough to keep matters interesting. In “Hey Jude,” for instance, Garcia re-imagined the famous melody line from the outset, meanwhile re-harmonizing it, as well. Yet the overall contour of the song remained, a Beatles standard deftly reconfigured for jazz sensibilities. The subtlety of the endeavor showed respect for the original, while the boldness of the conception underscored the fearlessness of the artists. Moreover, the way Garcia and Auguscik fused vocal colors stood as a high point of the evening, the listener virtually unable to pick out individual strands of melody. 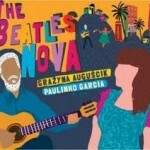 Beatles fans may not have envisioned “When I’m 64” as a bossa nova, but Garcia and Auguscik did, and the ebullient results justified the experiment. “Here Comes the Sun” rarely has sounded brighter in vocal tone, and “Blackbird” conveyed plenty of rhythmic snap. The only problem concerned the consistently dreamy, soft-spoken nature of this music, which became a bit redundant at times, though Heitor Garcia (Paulinho’s brother) offered welcome contrast with hand-held percussion. Overall, this definitely was not a hard day’s night.